06 Dec BEST DEER RECIPES!!! Congrats on the harvest of this year’s deer. Whether you bagged a buck or doe, you did it right. Being a Sportsman means an ethical kill and a legal hunt. Now that you have a deer in the freezer, what can you do with it? 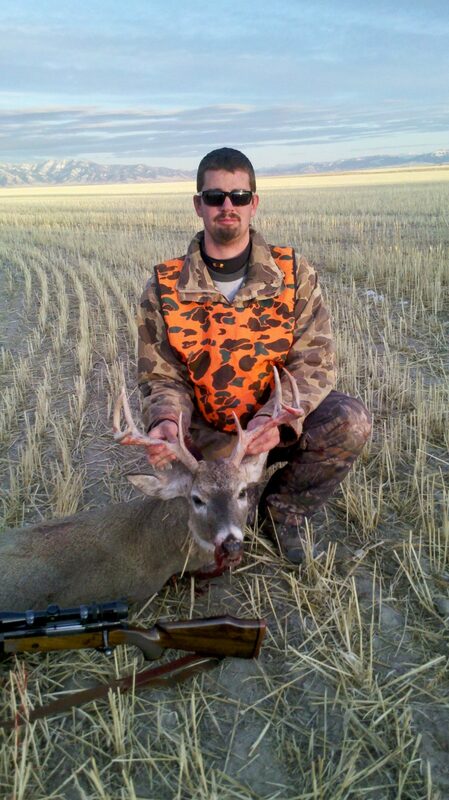 Some of the deer camps I have been in always shared the harvest. Everyone went home with meat. Some guys that wanted their share were often hoarders. Deer meat from several past seasons would fill their freezers. What was the point? Meat that is over 6 months old will begin to degrade. Don’t waste a wonderful part of a Sportsman’s diet. Many hunters give away their deer and just keep the antlers. Duh!!! They must be crazy. 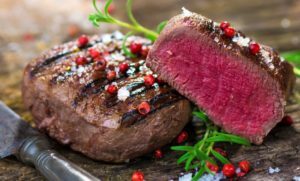 If you are looking for healthy, delicious, organic, and did I say delicious, then venison is the way to go. Bucks and does are both wonderful to eat. Doing your own butchering will educate you in the ways of cutting and cooking. Find a mentor to show you the ropes and enjoy the hunt long after the season is over. Try some YouTube videos to watch how it is done. Butchering really begins when you pull the trigger. Where and how you harvest the critter, gutting, transport, and aging all impact the quality and taste of your harvest. Here are some recipes and ideas to help you enjoy your wonderful venison resource. Just remember that the key to great venison is less cooking, not more. Don’t overcook this dark red meat! There are tons of wonderful recipes online or in books. Find your favorites to save and share. Jerky Who doesn’t like jerky? Using roasts and large cuts of deer can make awesome jerky. Try using a dehydrator or smoker to produce wonderful snacks. Slow and easy does it. Search flavors, spices, and recipes online to find Jerky that will match your tastes. Once made, this snack will not be around long. 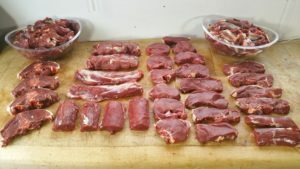 Butterfly chops Backstraps or loins, from a deer are amazing cuts. This is the most tender meat. You can grill a loin roast or cut this meat into filet mignons. Butter fly chops are a filet mignon that is cut in half ¾ and folded over. Just a few minutes on the grill will make this cut unbelievable. We often eat this right off the grill. Grind Soup, Burgers, chili, tacos, sloppy Joes, whatever you like can be made with ground deer. Try mixing your grind with trimmed pork shoulder or bacon for more fat and flavor. Beef fat tends to be “waxy”. No fat will not allow the meat to hold together when making burgers. Folks also tend to overcook fat free grind. Roasts A pot roast is a simple and delicious meal. Slow cookers or crock pots are the way to go. The long and slow cooking will make even the most tough cuts tender and tasty. Steaks Any deer steak is delicious. A big part of a successful deer steak is the marinate. Try using a simple Marinate soak in equal parts of red wine and olive oil. Spice with Montreal Steak seasoning. You can soak the steaks from an hour to a week in a covered glass bowl. Specialty Cuts You can also make sausage, bologna, meat sticks, and other special cuts from your deer. A good Butcher can help. Usually, I give them my meat pieces for grind and drop it off to them. Simply order what you want. Once your deer has been butchered enjoy it immediately. Make certain that the packages are labeled and dated. You can wrap the cuts with Plastic Wrap and then use Freezer Paper for a double wrap. Vacuum seal bags are also a good way to preserve your meat. Venison can be frozen for around 6 months before the meat begins to degrade. You can eat old frozen meat, but it will have way more flavor closer to its fresh date. No matter what meat you have, the taste, flavor, and health of your harvest will be well worth the effort. For more Montana grant, find him cooking at www.montanagrantfishing.com.